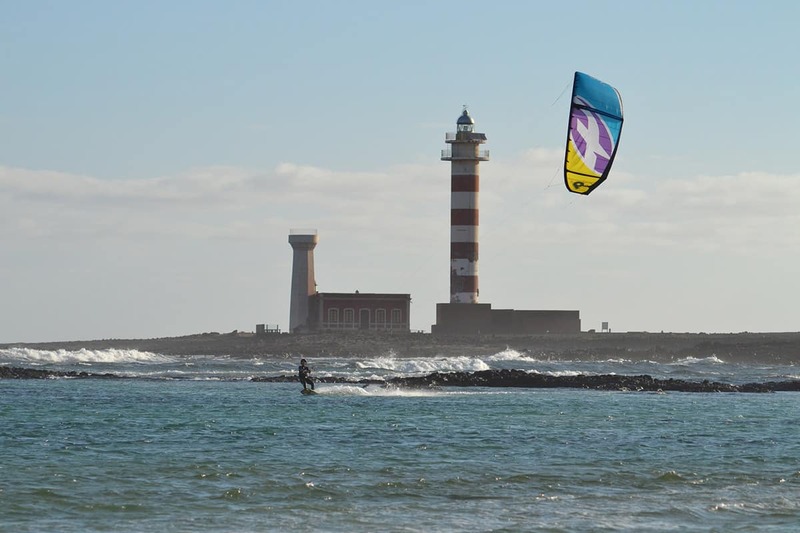 There are more than 55 kite schools and kite camp in Fuerteventura, Corralejo. 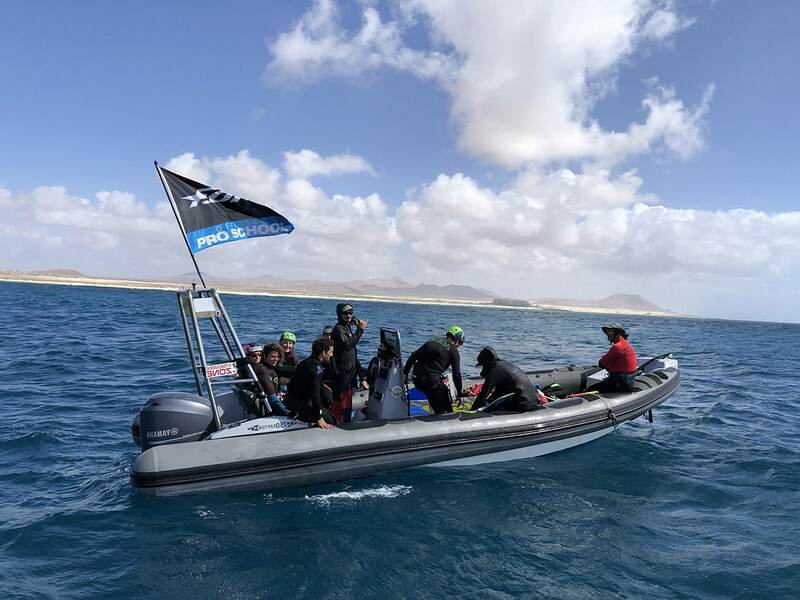 Over the years and experiences we have got to know them and have selected for you the one that meets our quality charter: pedagogy, infrastructure, friendliness... moreover it is the best school in Corralejo, Fuerteventura in terms of quality of service and services. 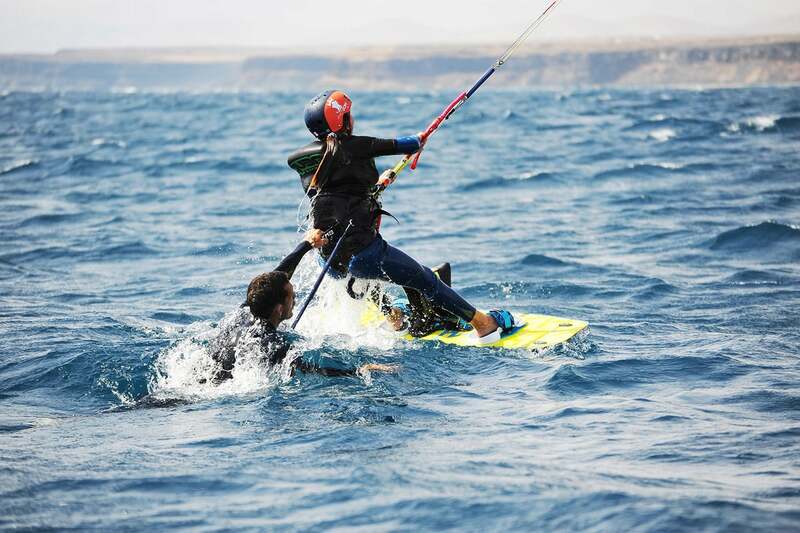 Manu, the person in charge is a former pro-kiter! Whether you are alone, as a couple, with your family or as a group, Ocean Adventure will perfectly meet your expectations. 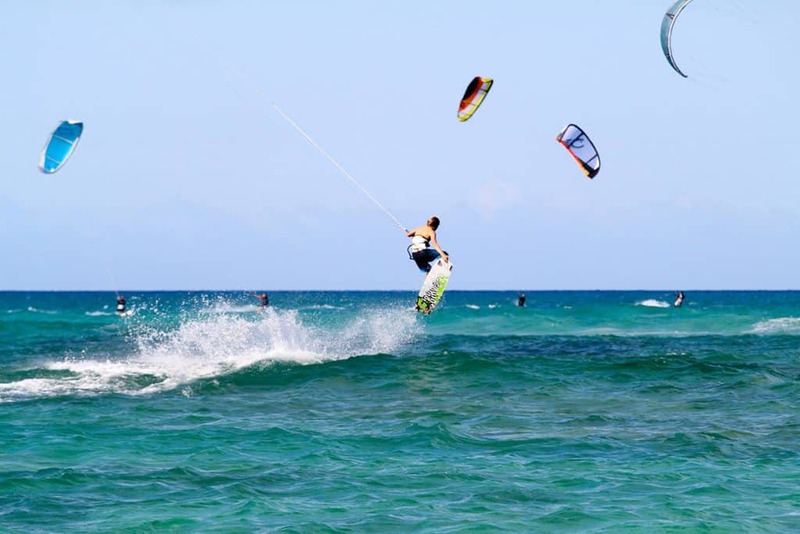 We also offer in this kite camp wakeboard, foil, Stand Up Paddle - SUP, and surf. Contact us! 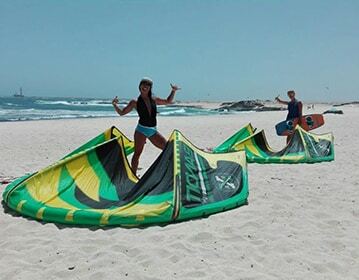 Our kite camp is located in the north of the island of Fuerteventura in Corralejo. 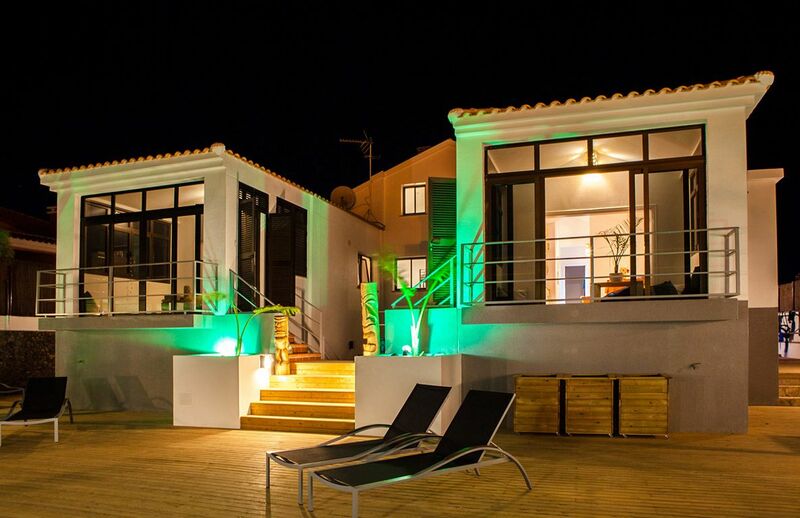 It is located a stone's throw from the paradisiacal beaches and the Corralejo Natural Park. With an area of 1660km2, Fuerteventura is the second largest island in the Canary Islands archipelago. Today more than 107,000 inhabitants live there and enjoy its pleasant climate all year round. Close to water and shops, the city of Corralejo now has more than 30,000 inhabitants. The kite camp will accompany you throughout your holidays to make you discover this island and kite on its turquoise waters! The island of Fuerteventura is only pure sand and sea. At the end of the dunes, you will find turquoise waters and perfectly white sand. Its heavenly beaches and exuberant nature will leave you speechless. The island is an authentic refuge of serenity to forget the stress of your daily life. Its crystal clear waters will allow you to recharge your batteries and you will feel renewed. Enjoy these 10 km of beaches just for you. 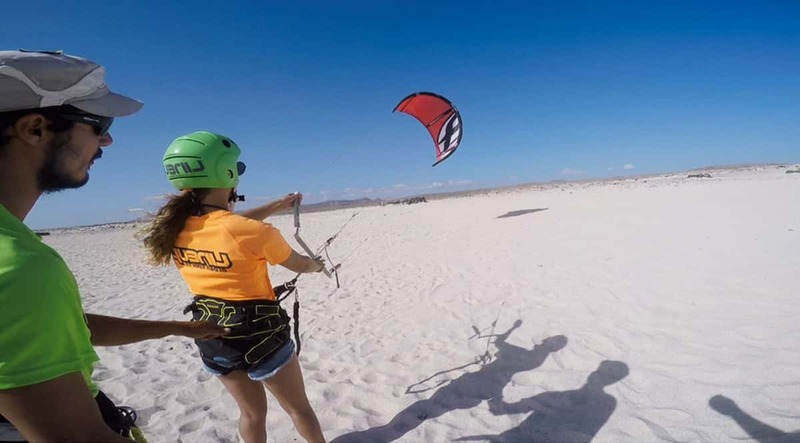 Whether you are a sunbathing enthusiast on the beach or rather eager for sports, on Fuerteventura everyone will find something to occupy their days according to their tastes. The island has beautiful villages and offers you the proximity of the urban centre where you can discover its tropical culture. The influence of Latin American culture on the Canarian people and the young and very European movement of this city. 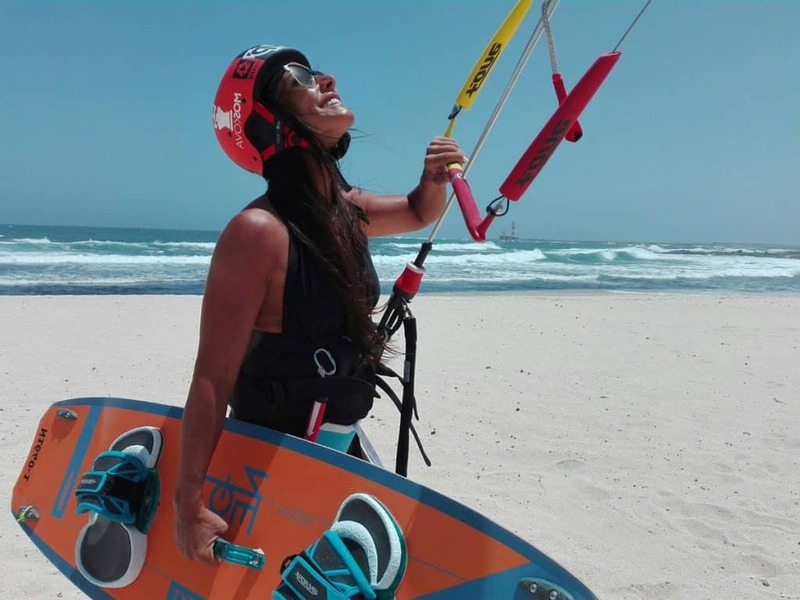 One Kite Surf instructor for 2 students*! 2-hours course in water, 4-hours overall time. From beginner to intermediate and advanced level, we will find the spot to progress without age limit. 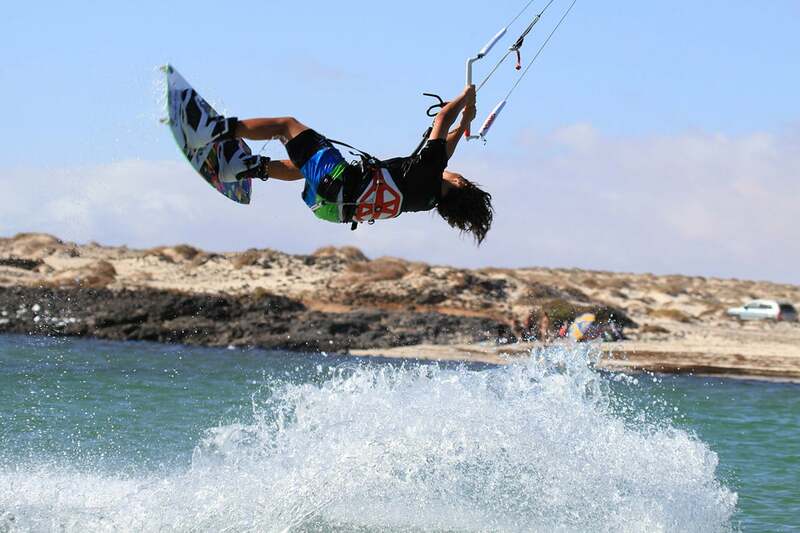 The instructors at our kitesurfing school take you through all the stages of kitesurfing training in Fuerteventura, making sure you have a good time! At the end of your course with us, you will be ready for your kitesurfing life with a solid technical and safety knowledge! Discover here the different learning steps in our kitesurf school. is 655€* for 6 nights and 5 days of classes for one person. Fee varies according to the number of people, the quality of the accommodation (double room or dormitory) and the duration. 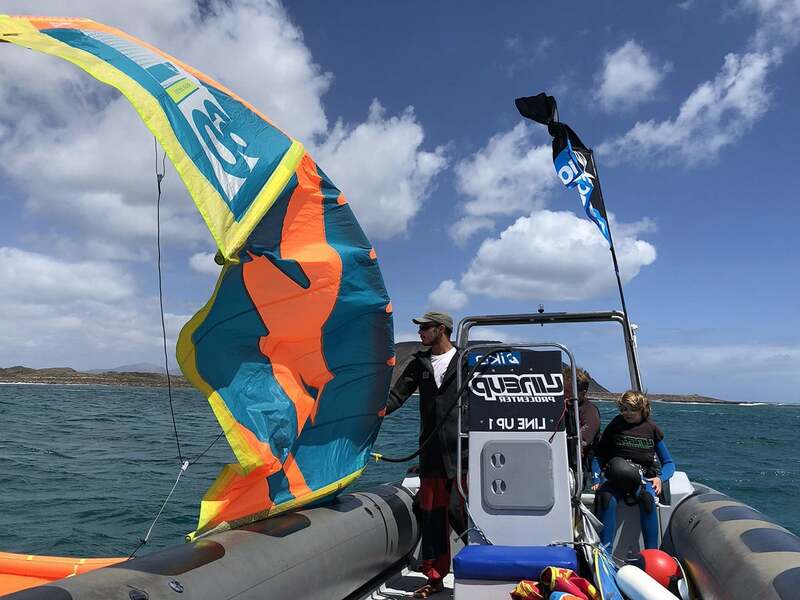 We are the testing centre for many kite and board brands, which makes us the only kite school in Europe to offer you the opportunity to practice your favourite water sport with the best and latest equipment from the leading brands on the market. Choose the package that corresponds to your availability, your objectives and your budget! is 15€* for a kite and 15€ for a board. Ask for more information ! You are a couple, you want to improve your surfing skills and meet other people from other countries while having your privacy.